Not sure what this blog post is talking about? I wrote this post to vent. To share. To let out my grief in a safe place. I took a world map out today & showed some of my children where Pakistan is. Explained in their own kid-like terms the tragedy that took place there. We prayed. I felt like I didn't do enough...what else could I do? I decided to write this tribute. How about you? I'm sure if you've heard the news & seen the pictures, you are grieving too. Please feel free to share your thoughts to the parents, families & prayers in the comments section. I forewarn you that any comments filled with hatred, or not tasteful, will be deleted. Thank you. Does anyone forget where they were when they heard the news? News like this..
Can any of us forget the pain that overtook our hearts? We look, from afar, at the pictures...and the reports...and the quotes...but it almost seems surreal. We are not there with you in person, but we grieve together with you in spirit today. We, who also send our children to school each day. Trusting, never thinking, never wondering what will happen, 'if' they'll come home...for you, the unthinkable has happened...your world will never be the same. I realize that there are no words that can adequately describe your pain. Try as I might to put my thoughts into words, I fear -and know- they will not even come close to the heavy burden that is now on your chest. I am a mother too. A parent. I have children. I love them. I cherish them...and when I think of what you are going through (picturing how it would have felt to receive this news), I cannot help but feel utterly overwhelmed at the sadness pervading our hearts. What pain you must be feeling. Know that you are not grieving alone. The world is standing with you. We are in solidarity with you & your families. We are outraged, incensed, disgusted, angry...are there words to describe that sort of hatred??? Not at any particular people...or religion...or race...but at the hate that can so fill & deceive a human heart with it's vile clutches, and can lead them far from the original intention that was meant for that man or woman. What can we offer you right now in your grieving? We pray for healing. For strength to hold you up right now. For solidarity for your country at this time. 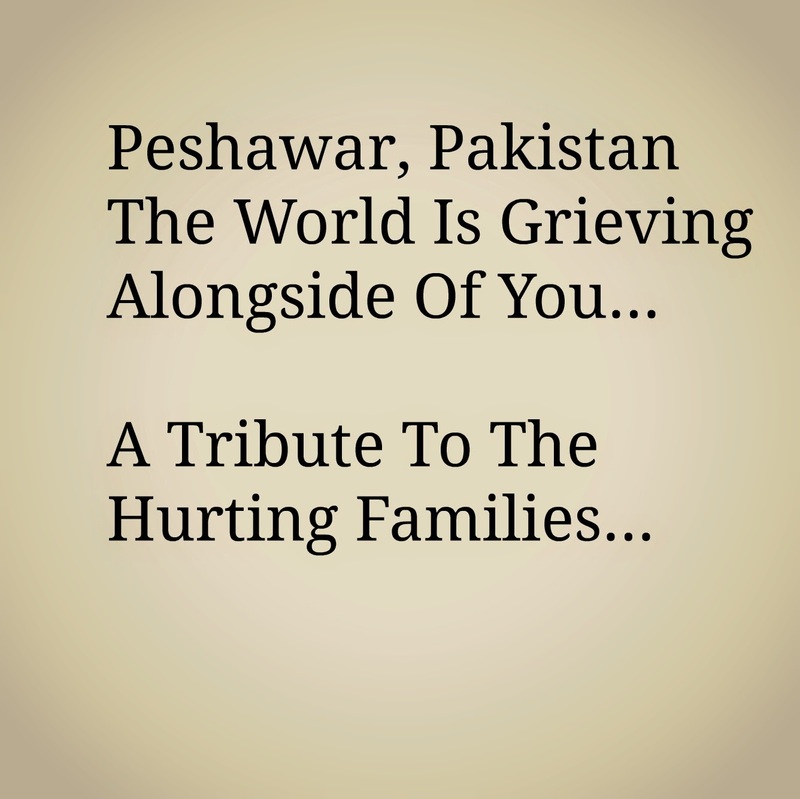 We pray for your families. We pray for your hurting. We stand together as one people. Thank you Rachel, for entering other's pain the way God enters ours. May He have mercy on these families and communities and, (dare I say it? ), on these destroyers of His little image bearers. Now more than ever we feel the need for our Prince of Peace to come. Let earth receive her King. This is beautiful Rachael. My heart is so heavy over this. The loss of life is always sad but the loss of children's lives is devastating. So many lives with empty futures, dashed hopes, and lost dreams. My thoughts and prayers go out to everyone affected. Our world is hurting right now. I pray for comfort, peace, and overwhelming love. Yes, I heard about this. It gets me so mad when I hear this stuff happening because just when you're making progress educating children, there it goes. Breaks my heart every time.